Oregon OLCC implements new rules for hemp products. The Oregon Liquor Control Commission (OLCC) implemented new rules governing industrial hemp products sold in the OLCC market. The rules went into effect on December 28, 2017 and provide a three month window of time for OLCC retailers to become compliant. The new rules only apply to those operating in the industrial hemp space who want to sell into the OLCC market, which is to say the marijuana market. They do not apply to industrial hemp businesses that do not intend to sell in the OLCC market. In this article I will summarize the new rules. 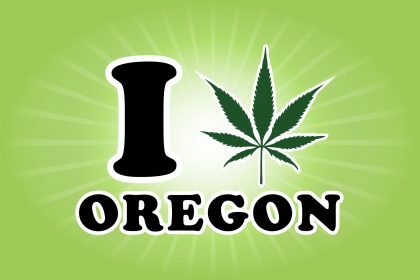 Oregon Department of Agriculture (ODA) registered hemp growers and ODA licensed hemp handlers who apply and are approved for an OLCC hemp certificate can transfer industrial hemp items to OLCC licensed processors that have a hemp endorsement. ODA licensed hemp handlers may transfer hemp concentrates and extracts to OLCC licensed processors. OLCC processors must receive a copy of the ODA test results indicating that the hemp item has passed before taking possession of hemp items. Only OLCC processors can give hemp items directly to OLCC retailers. This is to say that neither ODA registered hemp growers or handlers may give hemp items directly to OLCC retailers. Also, only OLCC processors may receive hemp items from ODA registered hemp growers and handlers. OLCC processors may not mix industrial hemp and marijuana together prior to making a concentrate or extract. Industrial hemp must first be processed into an extract on its own and tested to verify that it does not contain more than 5% THC. After the testing is completed the hemp can then be combined with marijuana. OLCC processors with a hemp endorsement may mix hemp and marijuana items together to make new products. These mixed products will be considered marijuana products. OLCC retailers in possession of hemp products that meet previous rule requirements but that did not come from an OLCC processor may sell those products until April 1, 2018. ODA registered hemp growers and handlers may apply for an OLCC hemp certificate by completing and submitting the OLCC Industrial Hemp Certificate Application found on the OLCC Marijuana website to the OLCC. The total fee is $750. ODA registered hemp handlers may apply for a hemp endorsement by completing and submitting two forms: the OLCC Hemp Endorsement Supplemental Form and the OLCC Land Use Compatibility Statements (LUCS) and emailing them to the OLCC. There is no fee for the hemp endorsement. This article was originally published in the Cannabis Law Report, January 12, 2018. Thanks to Sean Hocking, John Taylor, and the entire CLR group for their excellent journalism about the cannabis industry.